Griffiths Racing :: Party On! Perfect Party may not have come last time in but she showed the benefits of a spring break by breaking her maiden in determined fashion first up at Pakenham on Thursday night. Unplaced though hardly disgraced in two runs last October, the well related daughter of champion stallion Redoute's Choice was however not 100% - Jade Matthews noting that "her coat wasn't dropping, she just wasn't right." "So we ended up pulling the pin and putting her in the paddock." We have been much happier with Perfect Party this time in, heading to the Pakenham race with confidence - "she is looking a million dollars now," Matthews said, "and we were really happy with the say she turned out today." "She has always shown ability," said Matthews, adding that she was pleased to see the three-year-old nicely positioned throughout the race, Martin Seidl able to get the best out of her. Settling just behind the leaders, Perfect Party hit the lead at the 200m, giving a kick at the 100m before being chased by the favourite Paperboy - holding on gamely. "I was a bit nervous at the winning post but she made it!" "Robbie said that she was my best chance to day and he was right," Seidl said. "She travelled very easily - I was a bit nervous late when the horses were coming but she got there." "She did a great job and there was a little bit more in the tank, hopefully she can get to more wins in the future." Catching the eye at the 2017 Magic Millions Yearling Sale, Perfect Party is raced by a big group of great stable clients. Bred locally by GSA Bloodstock, she is the second of four foals produced by the speedy city winning Dehere mare Perfect Hostess who sadly died young in March last year, at the time in foal to Exceed And Excel. 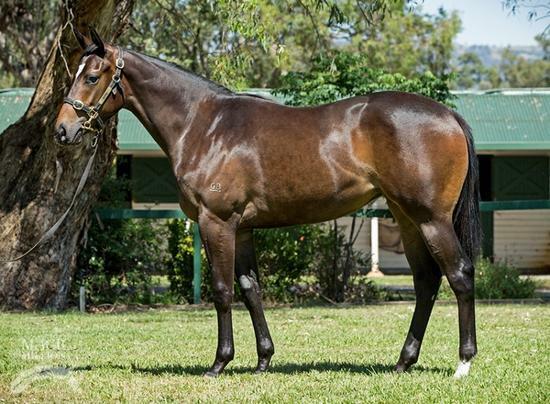 Also the dam of the dual city winner Cocoexcel and yet to be named youngsters by Exceed And Excel and Scissor Kick, Perfect Hostess was a daughter of the Listed winner Eire Hostess from the family of big race winners Headturner, O'Marilyn and Anacheeva.